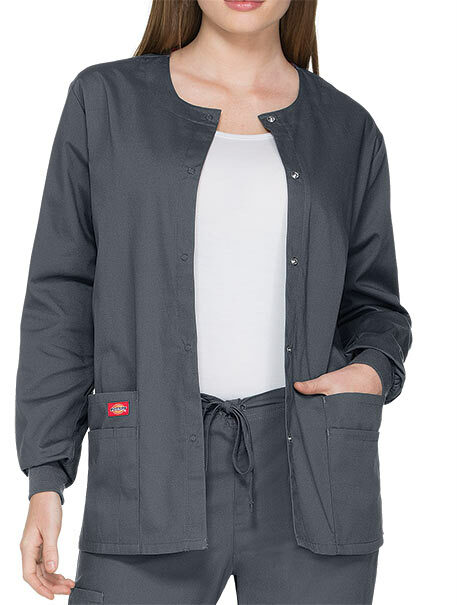 A Modern Classic fit, round neck, snap front, warm-up jacket features Dickies logo twill tape at the back neck and an instrument loop on the left pocket. 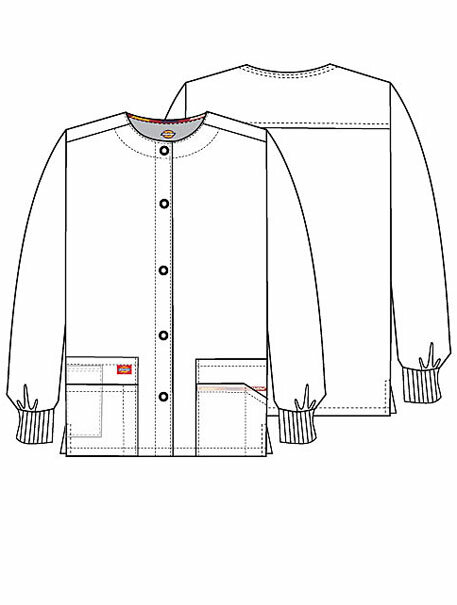 Also featured are knit cuffs, multiple patch pockets, a stretchy Red knit interior pocket (White knit pocket on White), a back yoke and side vents. Center back length: 28 1/2".